Author Shivani Gupta has degrees in hotel management, architecture and inclusive environments. What she also has is an uncrushable spirit and sheer willpower. 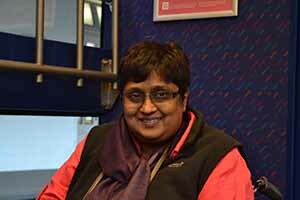 In her book No Looking Back, she writes about the two accidents that caused unexpected changes in her life, and how she overcame those times to stand up for the disabled community all over India today. Read on for our exclusive with this interesting lady! 1. What made you decide to pen your story down? Writing a book was never on my to-do list. It was the sudden and untimely loss of my husband Vikas, that compelled me to pen down my story. I wanted to freeze all the good moments we had shared and not loose them in time. I also wanted to keep him alive in spirit so that he’d be remembered for the wonderful human being he was. And his story wouldn’t be complete without me, and it finally took shape as my autobiography. 2. How difficult was it to live your entire life again, to write your book, ‘No looking back’? I started the book when I was bed-ridden after my second car accident. An accident in which apart from physical injuries, I also lost my husband and father-in-law. It was a very dark time of my life – one when nothing made sense, and I was constantly seeking answers to understand what was happening. It was probably the only time I could have written it. A lot of times I have been asked if it was painful penning it down. It was in fact therapeutic – as the pain I was in at the time was of far greater magnitude. Re-visiting my entire life, making sense of it, finding a deeper meaning and learning from all the experience, together played a significant role in my recovery. Also writing the book gave me a vent to express my feelings and emotions, which one cannot do person to person, necessarily. 3. You typed your story with one finger! How long did it take to write the book? It took me about 3 years to write the book. It took that much time not because of my typing with one finger but because of the thought and retrospection that it required. 4. You were in major accidents not once but twice. Was the second time harder? Did you feel bitter at being subjected to hardship a second time? The second accident made absolutely no sense. I had overcome one major accident, and I obviously constantly questioned – why I had to face this all over again? I was very angry. Also it was just four months since our marriage. Nothing made sense! I started questioning our marriage as well, which seemed like a cruel joke. I think that lack of clarity and anger were the reason I started writing, in an attempt to join the dots – hoping to see a clearer picture. 5. You have worked all these years to make an inclusive society for the disabled. How far has society changed in this respect? Things are far more inclusive in the metros now but this inclusivity reduces as one goes to smaller cities and towns and vanishes by the time one reaches the villages. But even the major cities are way behind the expected mark, so one cannot even imagine the state of people with disabilities in the villages. While I do not want to undermine the good work and the positive changes that have happened; the efforts so far have only been a drop in the ocean… and there is far to much to be done in order to achieve inclusion of ALL persons with disabilities. 6. Who are the people who inspired you in your struggle? 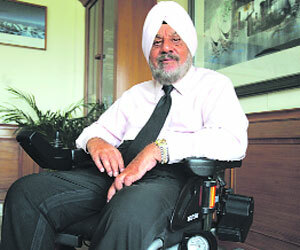 During my first accident my family told me about Maj HPS Ahluwalia, Chairperson Indian Spinal Injuries Centre and Sonal Mansingh, the famous dancer. Their achievements are truly inspirational to me, as also for everybody. Apart from them it is the common people who struggle different adversities and carry on, whom I admire. I draw inspiration and courage from such people and their struggles. 7. What are the genres of books do you read? Who is your favourite author? Most of my time is spent reading reference and academic books and documents related to my work. When I get an opportunity I read both fiction as well as non-fiction. I enjoy reading books by Indian authors. I enjoy fiction set in mythology. While there are many books I have enjoyed, one that instantly comes to mind is Palace of Illusions by Chitra Banerjee Divakaruni. 8. Do you plan to write any more books? If yes, what would they be about? As I mentioned writing a book was not something I had planned to do, but having said that I enjoyed the experience and yes I’d like to write another book. I am not sure what shape it will take, but I am currently inclined towards short fictional stories of people with disabilities. 9. What’s a typical day in your life like? My typical day is one where I am work on my laptop till about 3 pm followed by a short nap, and then watch some TV in the evening. 10. You’ve travelled around so which is your favourite place in the world? 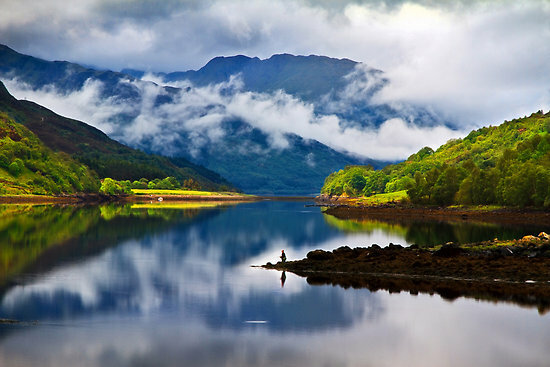 My favourite places is Ladakh in India and the Western Highlands in Scotland. Both these places are scenically beautiful and peaceful. The pace of life is slow and one feels liberated from the everyday rut. I was non-contactable when I was in Ladakh and also without a watch, which was just fabulous. 11. You have exclusively written about Ubbu in your book. How’s your darling doing? Do you plan to adopt any more pets? Ubbu passed away two years ago. She fell ill. Ubbu is and will remain my baby. I love animals, but I do not think I will adopt another one mostly because of the lack of support to care for it and also because I travel a lot. I have in some ways adopted the strays in our locality and feed them when possible. Also have adopted squirrels, birds and cats around. 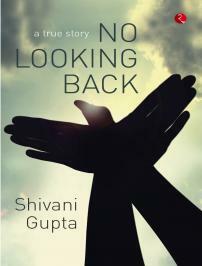 Look here for a blurb of Shivani’s book, No Looking Back.